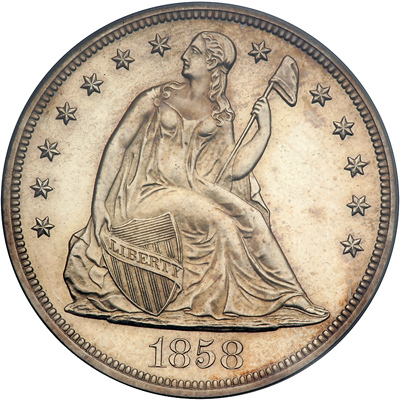 The 1858 Seated dollar is the most famous proof of the series due to its status as the only "proof-only" date issued from 1840 to 1873. It is also one of the least understood coins among all American numismatic treasures from a mintage estimated at about 300 coins. 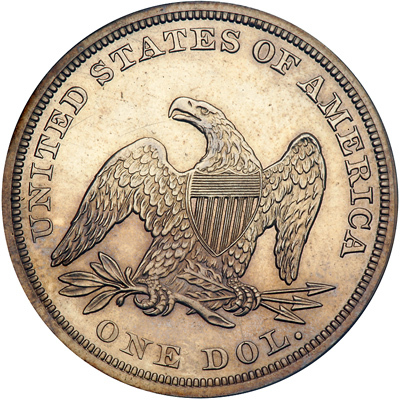 Numismatist Duncan Lee, a well-known specialist in the Seated coinage arena, compiled a brief study of proof Seated dollar rarity, published in the August 2006 'Monthly Supplement' of the Coin Dealer Newsletter. A two page study, Lee provides excellent information. For 1858, he writes: "The 1858 is the only Proof-only date in the Liberty Seated silver dollar series. 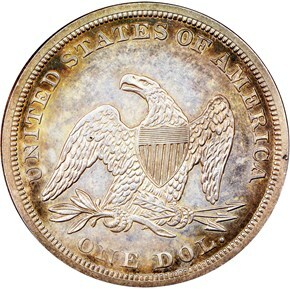 All known survivors were struck from one obverse die paired with at least two reverse dies, one being the same reverse die used for some 1856 and 1857 proofs . 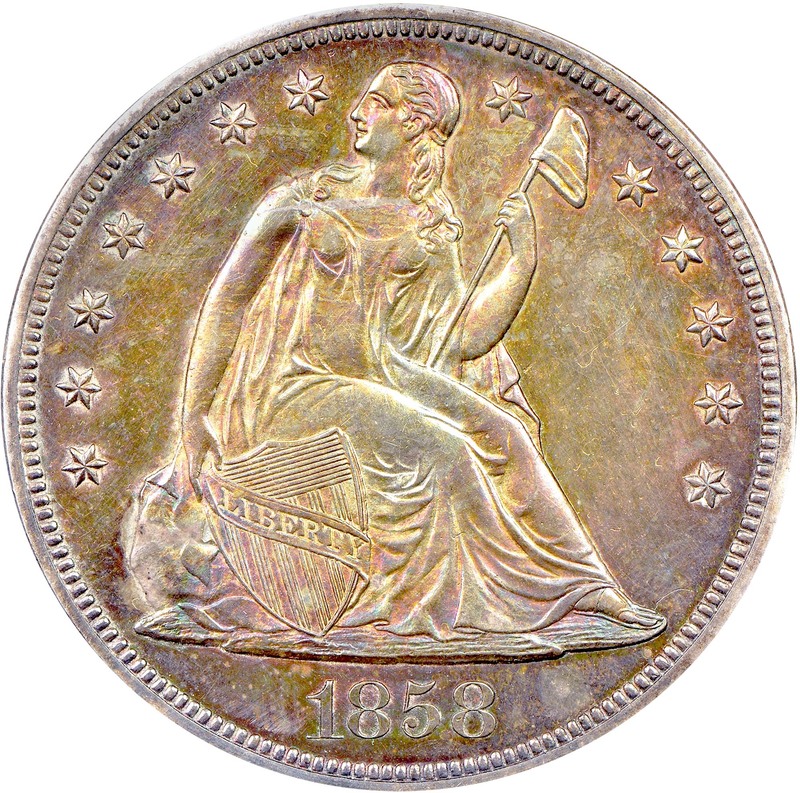 Several others were made with the reverse die which was used to produce some 1859 proofs."